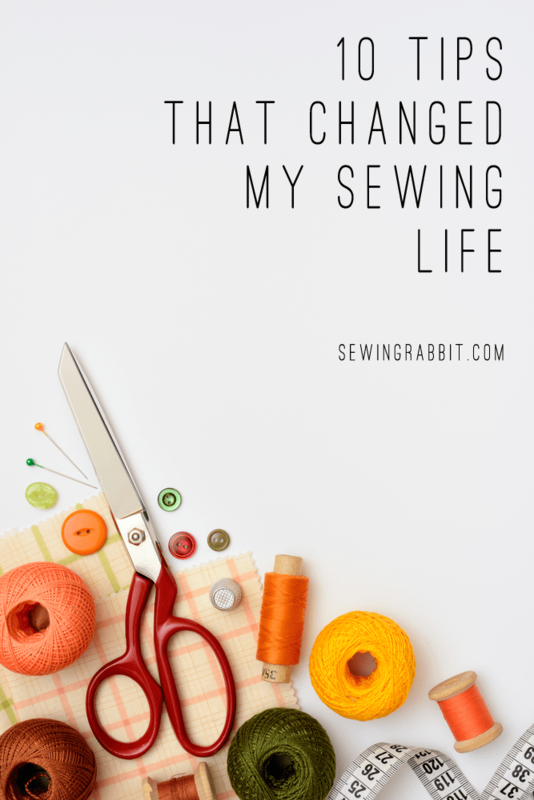 As with life, along your sewing journey there are moments that change you. Things you learn that blow your mind, and change the way you do things. When things like this happen, it can totally alter the way you think about sewing. Stop you from cringing over sewing an armhole, from shying away from certain fabrics, or from making that expensive purchase. It can mean sewing freedom. Here are 10 Sewing Tips I learned along the way that changed my life. 1. How to thread a machine properly. This is obviously the very basic. 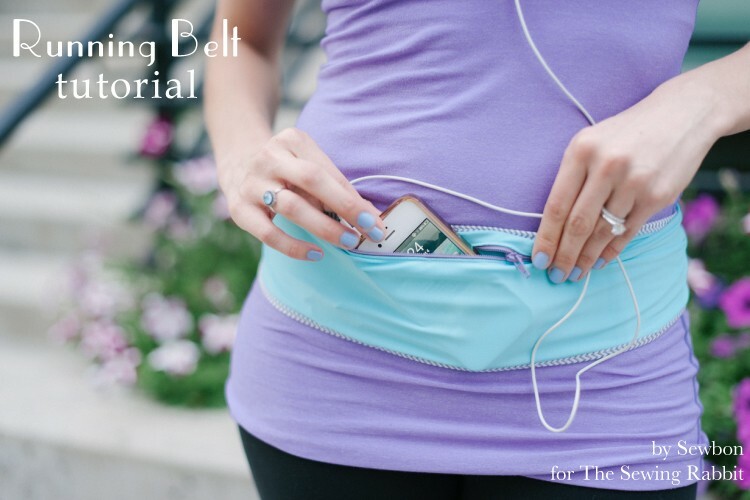 But I couldn’t even get started with my sewing journey until I learned this simple tip. I tried and tried, but all I would get was bunched up thread and loads of unsavory language flying out of my mouth. It was enough to make me throw in the towel. I might not have ever started my sewing journey if it wasn’t for my Mother getting on an airplane, flying out to Germany, to teach me how to thread my sewing machine properly. Once I could sew a straight line, I was unstoppable. 2. 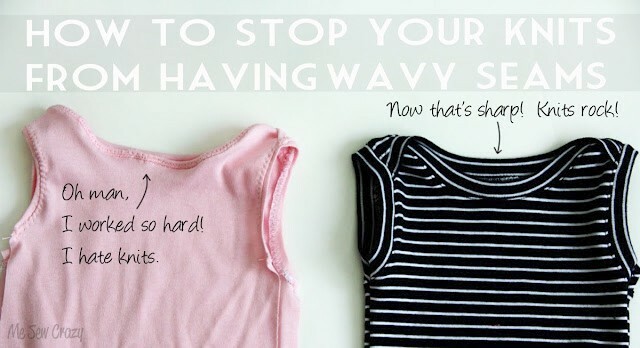 How to End Wavy Knit Seam Syndrome. I tried and tried to sew with knits, and was always so unsuccessful. Ending up with wonky seams and a frustrated spirit. It wasn’t until I figured out THIS little trick, that I was able to be successful in sewing with knits. Shortly thereafter, I upgraded my sewing machine to a Bernina B350, and I haven’t had any issues since with it’s fancy ‘stretch’ stitches. I used to use quilting cotton for everything. I mean…everything. There is just something so appealing about the rows upon rows of pretty quilting cotton when entering the fabric store. Before you know it, you find yourself with a cart full of pretty patterns and textiles that you simply couldn’t live without. Unfortunately, they don’t always make for the best apparel fabric. They CAN work, and do for a lot of things. But sometimes you want a cotton with a bit more flow. Try voile, batiste, shirting, linen, or double gauze. You will love them. 4. How to Sew a Sleeve, without Using the Set-In Method. Sleeves used to be my nemesis. I hated, hated, hated setting in sleeves. I constantly found myself pulling out the seam ripper whenever it came to sleeves to pull out the tiny little fabric tucks that would get stuck in my sleeve’s armsyce seam. 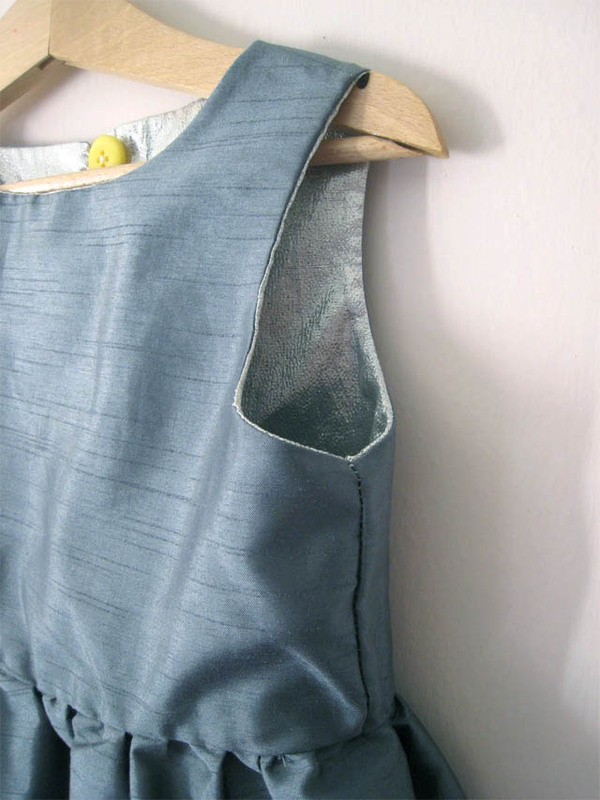 Seeing THIS tutorial by Dana Made It changed my sleeve sewing life. And I haven’t sewn a set-in sleeve since. 5. There is a Direction to the Stretch in your Fabric. It doesn’t matter what type of fabric you are working with, cotton or knit – all fabric has a ‘direction’. A grainline which you should be paying close attention to when cutting out your patterns. More often that not, one direction has more of a stretch than the other. And if you cut your pattern incorrectly it can cause for a tight pattern, or worse – one that you cannot even slip over your head! I cannot tell you how many times I had too-tight sleeves because I forgot to pay attention to this huge detail. So figure out the grainline and stretch of your fabric, before cutting. This goes hand in hand with sewing knits, don’t try to use a straight stitch when sewing. You will just end up with popped stitches. I cannot stress enough how much a serger changed my sewing life. I wanted to get one for so long, for so so long. I was scared off of them by fairytales of how difficult they were to thread. They’re not. They are actually pretty easy if you follow the instructional graphics. After you have one, you will wonder what took you so long. And probably throw your pinking shears out the window. Trust me. Put it on your Christmas list to Santa. 7. New Mothers everywhere thank God for PDF Patterns. I remember the days of going to the store, and trying to desperately rock the stroller long enough to browse the encyclopedia sized paper pattern book. It was t-o-r-t-u-r-e. And I was never able to find what I wanted. I don’t know who first figured out how to make a digital downloadable pattern, or how they became so popular – but I thank Heaven each and every day for them. I believe they, along with DIY blogs, are the main culprits responsible for the recent boom in the sewing industry. Learning how to purchase a PDF pattern, print one out, and tape it together has been a blessing for me, and new mother’s everywhere. You shouldn’t have to make excuses, or feel guilty. Learn how to say No. And know that it is OK to do it. And yes, I know this is very hard for some of you. But your life will have freedom because of it. 9. 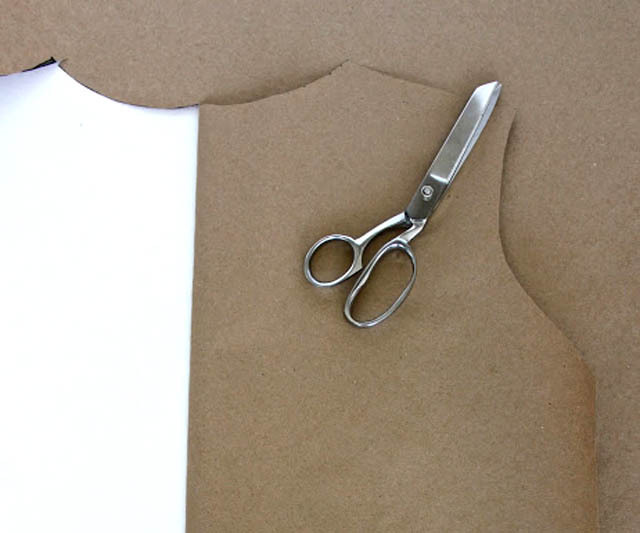 How to Fully Line a Bodice. This was another one of my favorite tutorials…ever. I used to struggle with linings and armsyces, trying to get nice even stitches all the way around. I thank my lucky stars every day that Amanda wrote THIS post. It has saved me much bodice sewing heartache. 10. How to Make your Own Pattern. And there you have it! Ten things I learned along the way that changed everything. What tips and tricks have you picked up along the way that were invaluable to you? I want to hear them, in fact we all want to hear them! 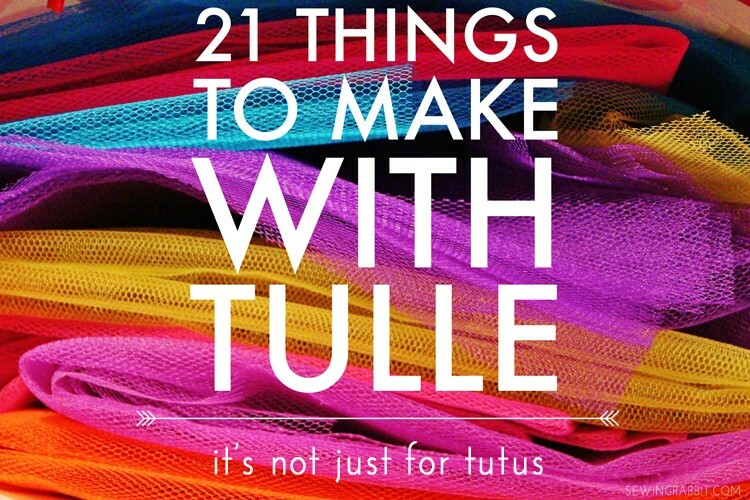 Who knows, maybe it will be the next item on our ever-growing, life altering, sewing tips list! Great advice, thank you for posting. Number 8 is stellar. Yeah I also like number 8. I have been sewing for years and always have people asking me to hem, sew,etc. because they can’t. I’ve never had heart to say no and curse the whole time! When I saw #8 I was like “yes!! it is ok to say NO. I’m not the only one!” Thank you. as well as all your other great tips!! And those dry cleaning/clothing alteration places do hems generally at an affordable cost! If it costs too much, your friends need to learn how to hem! You press it, they sew it while you have a cup of tea/coffee! Yes! to lots of these and oooh I need to learn about that to the rest 🙂 great post, Thank you! Great tips! This may be crazy, and I haven’t tried it with really thin, stretchy knits, but I stopped using a zig zag on knits and started using a long straight stitch while pulling gently on the fabric. Not too much, just enough so the seam has some give. No wavy seams and it looks crisper then a zig zag. I think I read about it on burdastyle. I feel like a rebel every time. Yes yes yes! Except I’m still waiting on number six. Haha. I would add that following the seam allowances is important- I didn’t know that when starting off. My favorite tip is to use quality patterns created by REAL designers not SAHM who create pdfs. I will and forever use Simplicity, Vogue, Buttericks, Kwik Sew and Mc Calls. I do not think PDF save time, I think they are wasteful. I am a very green person, I don’t believe in wasting paper. Plus the directions aren’t that great. There are a few decent pdf creators but the majority are awful. My other favorite tip is to sew in a clean room. Nothing more drives me crazy than a messy sewing room. I clean up after every project. Oh no! You’ve been buying patterns from the wrong place! I love all the PDF patterns I have! The instructions are great, the patterns well drafted and I don’t know (nor care) if the designers are mothers. Though I’m pretty sure if they are mothers they are working mothers with their own businesses (though being a stay at home mom seems like a noble job, not something to be looked down on). So, let’s stop the woman bashing. It’s unkind. Very late to this thread, but wow. What a passive aggressive comment. She just said she loves PDF patterns, and you take a dig at them, and SAHMs as well, in one swoop. Is there such a thing as a pattern snob ? Oh, how long has #6 been on my list? Just for about EVER. Still working on #8 though. I’m SO bad at saying no. Read your machine’s manual. And use a pin at the bottom of the buttonhole before you rip. Great tips! I found the ones concerning stretch fabric to be helpful. I usually pass on patterns that use stretch fabrics because I’ve have had some problems in the past. With your helpful hints, I’m going to give stretch fabric another try. Great tips!! I love looking at this Pintrest website– I get so many ideas– and, I also love to read the blogs from other sewers!! 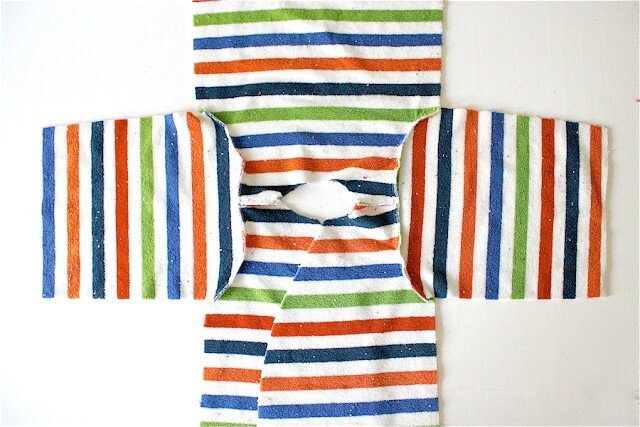 I like to call it ‘organized mess!’ Great tips… I’ve seen since I was very little and here’s a couple more that I learned, first, invest in a decent sewing machine. There’s no greater way to be turned off as a new sewer than to learn on a basic machine – investing in a good machine will make you fall in love and not stress! Zipper foots, automatic button holers, serger stitches, automatic threaded and bobbin threading plus much more will make the experience so much fun. And secondly, and most important, take the time to hand baste – zippers, gathering, set-in sleeves will work beautiful if you spend the time basting first. Take it from an impatient sewer, taking the time to baste is worth the aggrievation later! Have fun!!!! my sewing life changed the day I learned to see pant hems on the inside the the pant leg – with NO turning the leg inside out. I just turn the hem and stitch. SO much easier than fussing with inside-out legs. I hem a lot of pants into shorts for my kiddos! Great list. A serger has been on my list forever but I admit to being scared of one! Thanks for the tips and links! Merry Christmas! 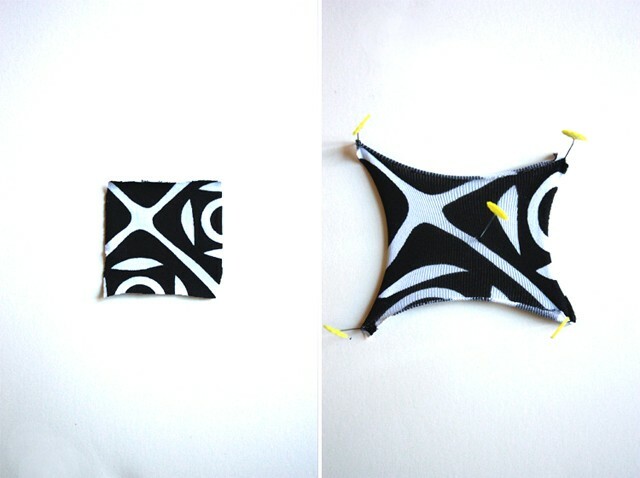 I just learned about tip #4 via a pdf pattern from See Kate Sew. I never could do sleeves before–I really hate the gathering method–and now it’s a piece of cake doing it like the picture you posted. Old clean sheets. I use them for making a muslin sample when trying a pattern that has a very fitted look. When working on formal dresses, especially bridal gowns or something with long pieces, I put one under my sewing machine and chair to catch stray pins. I take shoes off before I step onto it and I flip it closed to keep it from getting dust from contaminating my fabric. I also put one under my ironing board when working with long items. I lay one down on the floor before I measure a long hem for someone. That way, I can even lay flat on the floor if I need to and I stay clean too. And when I sit to do my hand sewing, I lay one out on my lap and floor. If I am interrupted, I can quickly gather up the whole project and it will be safe and secure til I get back to it. Another thing I do is use safety pins when pinning for alterations with children or the elderly. No pokes when getting them in and out of it, or a “key” spot where the pin could come out. My big thing was discovering that I didn’t have to do an actual gathering stitch before I gathered fabric. My gathering stitches used to always break. I simply pin the fabric to be gathered in equal distances onto the ungathered fabric that I’m sewing it on to. I usually start with the middle or the seams or other markings like that, and just keep dividing (roughly) the fabric in half. Then I feed it under the needle in bunches, removing pins along the way, and it’s gathered! I think the most important thing I learned was to line up my fabric before it gets under the needle. Using painters tape on my machine or just following a mark ….but just try to line it up a bit before it gets to the needle and you have time to make adjustments. ….also that the strawberry that hangs off your tomato is filled with emery and can sharpen your needles , hand and machine needles. and even pins. I have been sewing for about 60 years and am just now learning how to use those extra presser feet that come with my sewing machine! I’ve used a zipper foot all my sewing life, an overcast to finish seams (before my serger came into my life), a quarter-inch foot with a blade for piecing quilt tops and a stitch-in-the ditch foot with a blade for machine quilting, but that was all I knew until I made myself learn how to use the others. I pinned a lot of information on presser feet, both ones I have and ones I want, and watched a lot of Youtube videos too. I found that there are some other uses for the feet besides their original purpose. By learning to use other feet, you will be encouraged to try some other ideas like couching and adding ribbon and beading. My main tip is to have fun with your machine!! Pat attention to the seam you are sewing. And SLOW down. This can save so much ripping. I learned this the hard way! Hi- great post-especially for those knits! I’ve been sewing for decades & still haven’t mastered the edges of knits. On #9 (completely line a bodice), the only addition I would make is to plan some understitching (sew on the lining side about 1/8 inch from the seam/edge through the lining & seam allowance- after you have smoothed it straight out from the seam) that would -mostly- hold the lining to the inside. OR, plan in some good looking topstitching (stitch through all layers as straight & even as you can…usually 1/4 inch from the edge…but style-wise, anywhere you want) & make sure the lining is pushed 1/16 to the inside so it doesn’t show. Topstitching, especially, gives it a finished, crisp edge. Thanks for the great tips! Here is a tip that i have used when i am sewing. I get everything done in my house and if the checkbook needs balancing so when i sew all i have on my mind is sewing and have a clean house on top of it. it has worked for me. There are a few ideas I have done to make it a little to do something. To mention one idea use when altering a item without taking the risk of making a mistake with the intended material. You see once I cut the material I can’t put it back. If I need to adjust the length, width, and /or shape I first make a mock version. I use some scarp material like an old sheet, etc…. Once I get the correct measurements using the mock material I can use the intended material. I will feel more confident in cutting actually material. A tip I use often when hemming. I don’t like it when after I hem something the last part of the thread hangs out, so to hide the thread I tuck it. What I do is just before I remove the needle from the material I thread the needle into the material as close to the knot or end of the job, come back up the right side of the material about a half inch from the spot when just went down. Then I cut the thread real close to the material. The thread falls into the back side of the material. There no thread hangs out. The serger is worth every penny. Also, I have learned more from people asking me to do sewing projects that I didn’t want to do than any thing else. Recently, I learned to do pinch pleats. The one thing I really learned the most from was Sew Beautiful magazine. I have saved every copy. Every issue taught me new techniques that I have used over and over. I love my serger. Invest in the Babylock that threads the loopers via pneumatic port. No more tears! I serge the cut ends before I wash the fabric. This eliminates raveling. I just discovered this page via Pinterest and am so glad I did! Thank you for this very useful information! Holy Guacamole!! That sleeve tip just blew my mind!!!!!! SO EXCITED TO TRY IT OUT! yes. AND FREEZER PAPER/TISSUE??? geniuses, you all are. I have sewn off and on for the past 30 something years. I have ALWAYS been afraid of knits and would not even purchase knit fabric. After reading your #2 I feel like I could do that. It all makes since now. I would be interested in how you store your fabric. I have seen all kinds of systems for quilting fabric but not any for apparel fabric. I’m not a fan of it being out where the sun and dust can get at it. Janice, I’ve been redoing my sewing/craft room for quite a while and found the best way for me to store my apparel fabric was to make my own mini-bolt boards… I bought a case of foam core (at dollar tree for $1 ea), they are 30″x 40″ then cut them in half so that I had 2 pcs 20 x 30, then cut those 2 pcs in half again then I would have 4 pcs 15 x 20. Then you just fold your fabric to fit and wind them around these boards. I store mine in the closet on shelves and with the door usually closed they don’t get dusty. So much better than folding them and stacking on shelves or storing in plastic tubs. I store them standing up like you see in the fabric store and can see at a glance what I have. Thanks for this, I laughed at no. 8… I actually have bought a serger but was scared off while looking through the manual when I got to the chapter on how to thread the thing… but I’ll give it a go, one of these days. Also, it bothers me that it can’t also sew a straight line so that I have to keep my old machine aswell. Sandra, a serger isn’t a replacement for a regular sewing machine… it is used as a complimentary addition to your sewing machine. It just makes doing some things much easier and faster once you get the hang of it. Sandra, I have to wonder what kind of serger you purchased that you have the impression that it won’t sew a straight line. My serger is used to construct entire garments! I’m have been sewing for 55 years and I can’t even begin to tell you how many wardrobes I have made. I purchased my second serger in 1995 and I use it for everything! Except, the finishing touches. Stitching a cuff on a sleeve, closing a waistband, top stitching, etc. Beviboo is right, a serger is not a replacement for a sewing machine but it can make your sewing life so much easier! Your garments will be beautiful from the inside as well as from the outside. I have a 5-thread Pfaff and when constructing garments almost always use the 5-thread with safety stitch wide which finishes the edges but also stitches the straight seam. You owe it to yourself after investing the money in a serger to actually use the machine! One trick to threading is to never unthread it! When I change threads I cut the threads on the machine right at the cone. Then I place the new thread on the spindles and tie the new thread to the one that is already threaded. Then I just run out the old thread and as it runs out it pulls the new thread through the machine and voila, the machine is threaded with the new thread. You will probably need to thread the needles once the knot gets to the needle but this is a really simple way to change your threads. Good luck! Give that serger a chance! Once you do you will love it! when I need help guiding fabric through the presser foot , I use a double-point knitting needle. It’s like having an extra hand with no danger of running a sewing machine needle into your finger. Thank you so much for sharing these tips. I do love all the comments also. And, ladies, if your method works for you, do it. Also, I wish I could sew without having a clean and tidy house and/or sewing room. It is a plague to have been raised by a fussy mother. So, if you can sew with a mess anywhere, I’d bet you accomplish a LOT more than I do. More power to all of us. Thanks again for the informative list and instructions. Press as up go is a great tip. I never short cut this. I regretted the results too many times in those earlier years. Pressing as you go, helps your projects look like a pro did them. I improve efficiency by working on similar parts of the project so I head to the iron less frequently. For instance start your top, side seams, darts, zipper, etc. and start your pocket, cuff, and collar too (if they use the same thread). I re-thread my machine as few times as possible and do my ironing in fewer trips to the board and back to the sewing machine. I keep an extra bobbin made up if I expect to need one. I saw comments regarding the zigzag with knits. I always use a stretch stitch or a narrow zigzag stitch. A narrow zigzag stitch gives you a very nice finish with the necessary stretch too. It doesn’t have to be a wide stitch to give good results. Betty is correct! You must press as you go! Not doing so will create a garment that looks “homemade”! Isn’t the goal to have people look at what you are wearing and not believe that you make it yourself? I know that I am always so thrilled when people look at what I’m wearing with disbelief that I made it myself. And, one of the tricks to that is pressing EVERY seam and EVERY dart before you attach it to another piece. DON’T SKIP THIS STEP! Your garment will look so much better in the end if you just do it! When I married my sweetheart 42 years ago I inherited a hemastat left over from his days in the lab at college. (A hemastat is an instrument that clamps and is used in surgeries to control bleeding). They are as important as my good sewing shears and small thread cutters in my sewing room. You can grab threads that are caught in the lower part of the sewing machine, turn a small item inside out, …the list goes on and on. Currently I am making clutches for my daughter’s eight bridesmaids and the pattern (my first PDF pattern) called for extra stiff pellon for the body of the clutches. It was nearly impossible to pin in order to make tiny darts so I clamped the extra stiff pieces together with my trusty hemastats so I could stitch the darts! I keep a pair in the kitchen “junk” drawer, my craft room (great for grasping tiny adhesive gems), and of course in my sewing studio. You can probably purchase them online unless you know someone in the medical field. Thanks for all the great tips shared! I’m late to the thread, but I wanted to say that I use my hemostats for lots of things too! They’re as crucial to me now for sewing and crafting as they were when I worked in hospitals. Another piece of medical equipment that I consider vital is safety/utility shears – those rounded tip, bent blade ones that nurses and paramedics love. They’re very strong, designed to cut through thick denim and even shoe leather. They’re really good for cutting open those impossible plastic cases things come in, too. Both items can be purchased at uniform shops or at Amazon for about $4.00 to $6.00 each. Great tips! I love my serger and can’t imagine not having it. My tip is to challenge yourself with your sewing. Try new techniques, projects, and materials. The world of sewing is so vast and so exciting. Tip 2 – Get a sewing buddy real or virtual so you can share tips & tricks and of course yap about the joys of sewing that your non-sewing friends care nothing about. 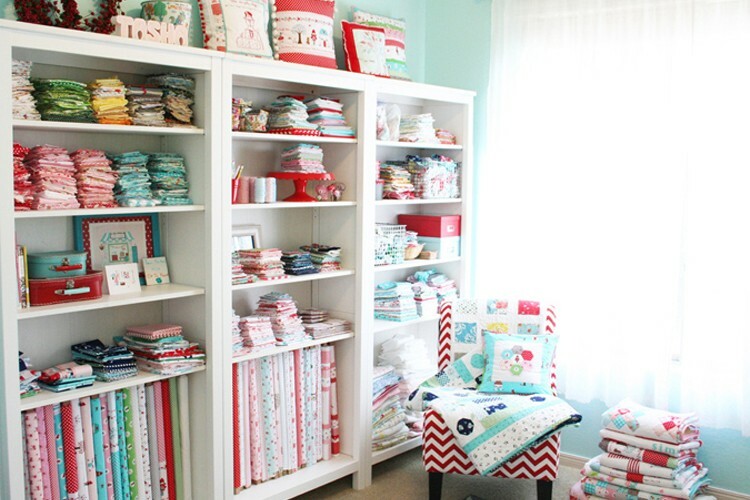 I sewed clothes for my daughter and myself for years, with curtains somewhere in there. I’m in my 70’s now and have started sewing again with very painful, arthritic fingers, which I allowed to keep me from sewing for years. I finally reached the point where I vowed I wouldn’t let arthritis rule my life anymore! Now I have started sewing again. What once would have taken me two hours to do now takes me more like two weeks. Everything I do takes me forever, but it finally gets done. My tip is to keep doing things over and over until you really master them and remind yourself daily that it’s okay to take a long time to do something. I am so very much happier now than when I let myself give in to my physical handicaps. I’m currently working on mastering tote bags with many inside pockets. Thanks for this blog. Every so many years I decide to redecorate so I get out my sewing machine and realize I have to teach my self all over again to thread my machine, fill a bobbin, etc. It’s helpful to have all the tips and instructions in one place to remind myself of techniques I many not have used in years. 1. Always hem with a long stitch. If you decide later or it shrinks, its easier to pick out, it never comes out unless you want to remove it. 2. I could not manage without my serger. I was terrified of threading all those loopers until i discovered Baby Lock (probably other brands have this option also).. baby lock has air threading, no looper headaches for me! If you can visit a dealer and see a demo, or you tube video, you will love it! Recap: Tie new to old thread at the back of the machine in a square knot and tighten the knot. Serge on scrap till rethreaded. Brief note of translation for anyone else who might wonder “what the heck is a serger and why have I never heard of this magical tool?” … elsewhere in the world we’d call it an OVERLOCKER. Yes, also a word said with reverence by the sewers and other crafty types. I like tip #1. Will your mother fly to Colorado to show how to thread my machine? I still suffer with point 6. I have a long way to learn how to say NO! Someone said get a good machine. I totally agree but one step further is keep your machine clean and serviced. Also change your needle frequently and use the proper needle for the fabric and thread. #8 I have become an expert! People seem to think “it will only take a minute” to do something for them. I have become quite expert in replying “I will gladly show you how, it will only take a minute”. They seem to change their mind when they find out the actual “just a minute” phrase. For me a ruffler foot is often the answer when a gather is needed. Once you get good at adjusting it for the amount of gathering you need, it’s a huge time-saver and the evenness of the gathering is superb. I have used hemostats and bandage scissors in sewing and quilting for years. Another piece of equipment I really like to use is a suture scissor. It is used to remove sutures. It looks like a regular scissor except that one blade has a half moon notch at the end. That blade is inserted under the thread you wish to cut and the thread is held in the notch to be cut. They are also available on Amazon. My husband is a veterinarian so I get mine through him. You might check with your veterinarian also. Thanks for this very usefull article! These are really the main issues that a beginner (or not!) has to struggle with! Hi, I realize I’m very late to this thread but I’d like to get your opinion on a good serger. I have my heart set on a baby lock beacause of the air thread feature. They are super expensive as we all know. Since I’ve never owned a serger, I’m only familiar with the very basic stitch. I’ve never sewed with one! Now I’m considering a cheaper less fancy one to learn on. What kind do you like or would you suggest? Hi do you have any tips to serve a hem of a long sleeve knit shirt with cover stitch? They always stretch. Jessica, some of these are very good tips. I love the just say NO! I can’t tell you how often I am asked to hem something and I’ve had to learn to say no. And, on the very few occasions that I have said yes I have made it clear that it will be on my time not in their rush. Usually they decide to take it to the cleaners who will do it right away. As far as sewing on knits I have never used a zigzag on knits. Before I purchased my serger I just used a ball point needle and a long stitch and have never had a problem with wavy seams. Now of course, I use my serger. You might try loosening the pressure on your presser foot if it is pressing down too much on the fabric that could be part of the problem. And yes, purchase as good a machine as you can afford. As I said earlier I have been sewing for 55 years but nearly gave it up at 20 something when the machine I was using was just more trouble than it was worth. Then I purchased a Viking and at the time it cost over $700 which in today’s money would be over $3,000. But, I made several wardrobes on that machine and at the time I was on the road all the time and that machine went all over the United States with me. It finally died on me at 30+ years old but I’m still trying to get it fixed! I love that machine! It was my baby. Great tips!! Recently began sewing again. I’m hooked now. Tip No. 8 is the best and hardest one of all! Learn it! Use it! Seriously! Sometimes we just need permission to just say NO… Tbank you! #8 all the way. I try to never let anyone know that I know how to sew (except for on the internet-HA!). This is the best advice.